I’ve spent a good chunk of time trying to upload my set up video on YouTube for One Book July but alas, it’s been fruitless. Hopefully it will work soon! In the meantime I just wanted to fill you in on how I am finding the challenge so far, and give you a glimpse into the system I came from! Before this challenge I was using the following planners. 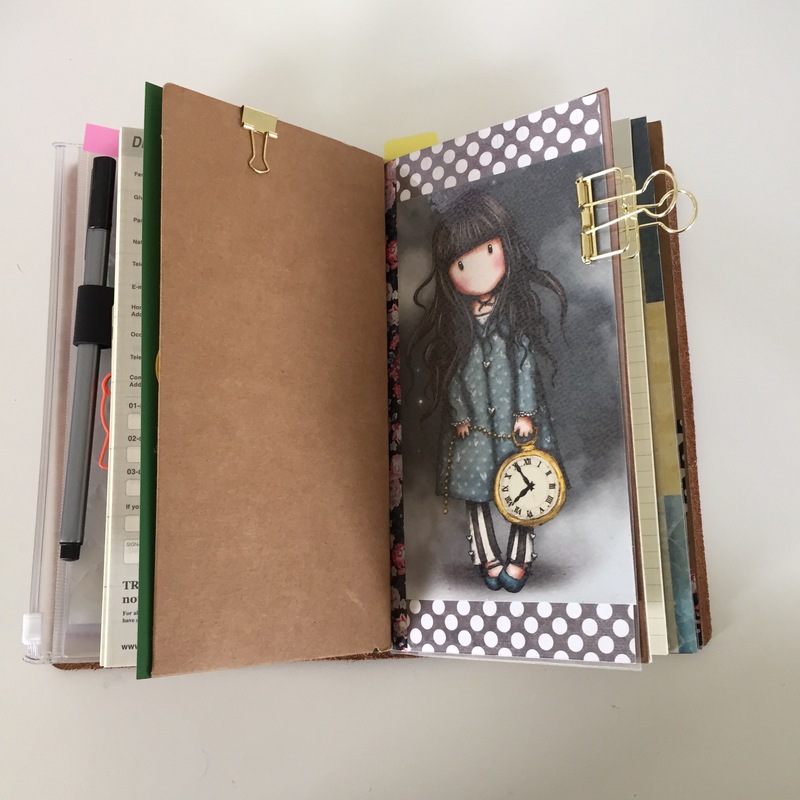 Each book was a filofax original and served a different purpose. 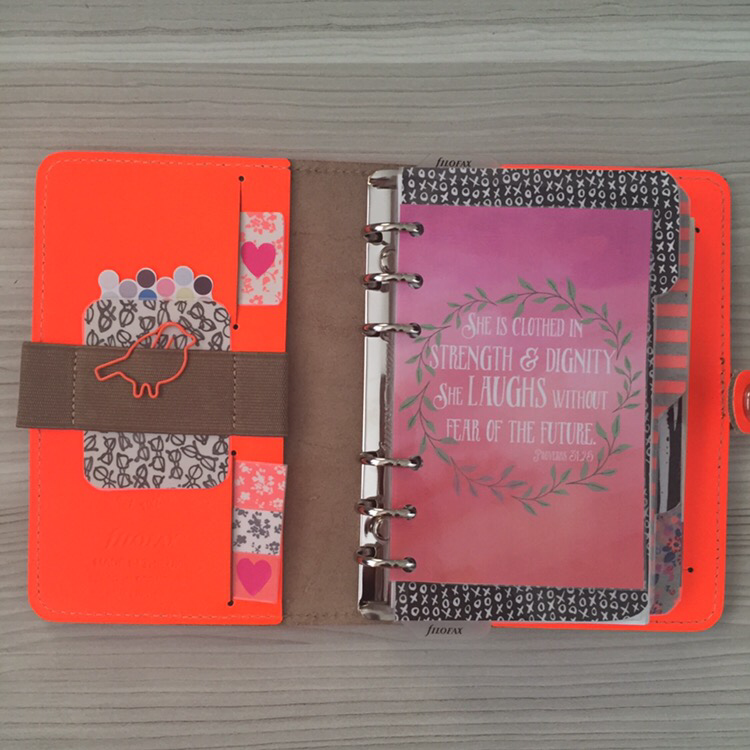 Devotional Planner with room for prayer notes, sermon notes and devotional study musings. 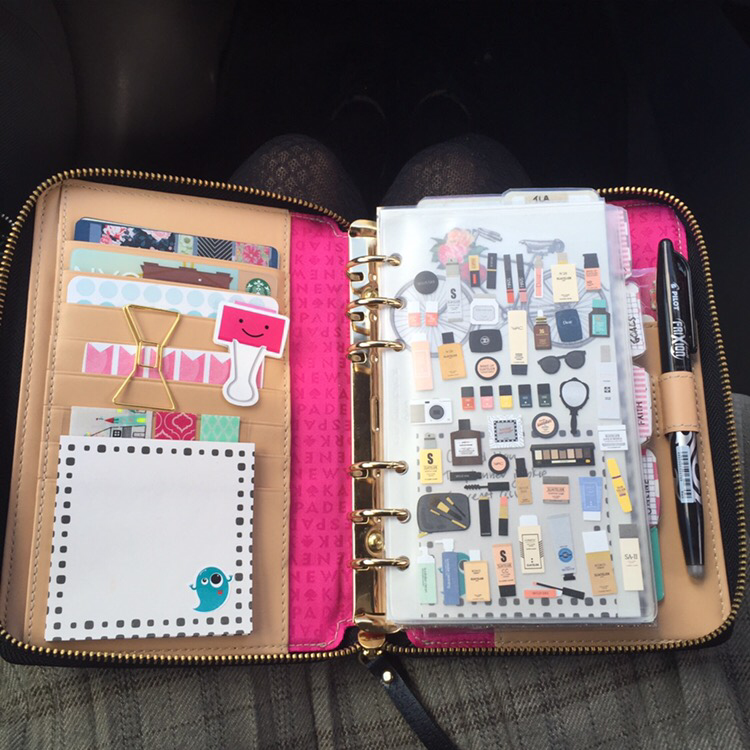 I used my Kate Spade as a wallet and on the go planner. There was sections for weekly diary, notes on my business, sermon/spiritual notes, goals, lists, Contacts. It was equipped with things I would need when I was out of the house. This is where I have lots of fun. 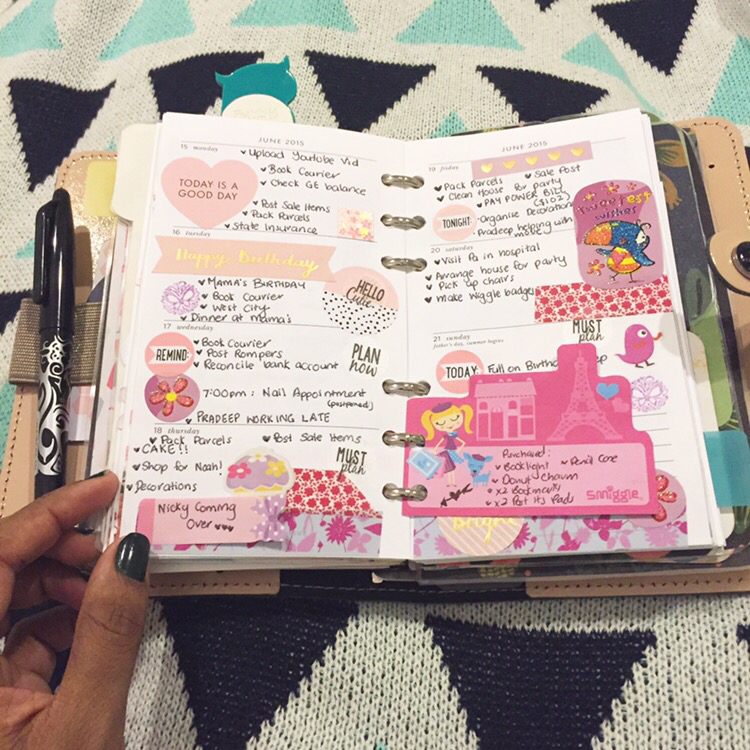 Quotes, doodles and general childish whims go in this planner. Now I was determined to take on #onebookjuly2015 and really embrace the essence of it. Finding a system that works! 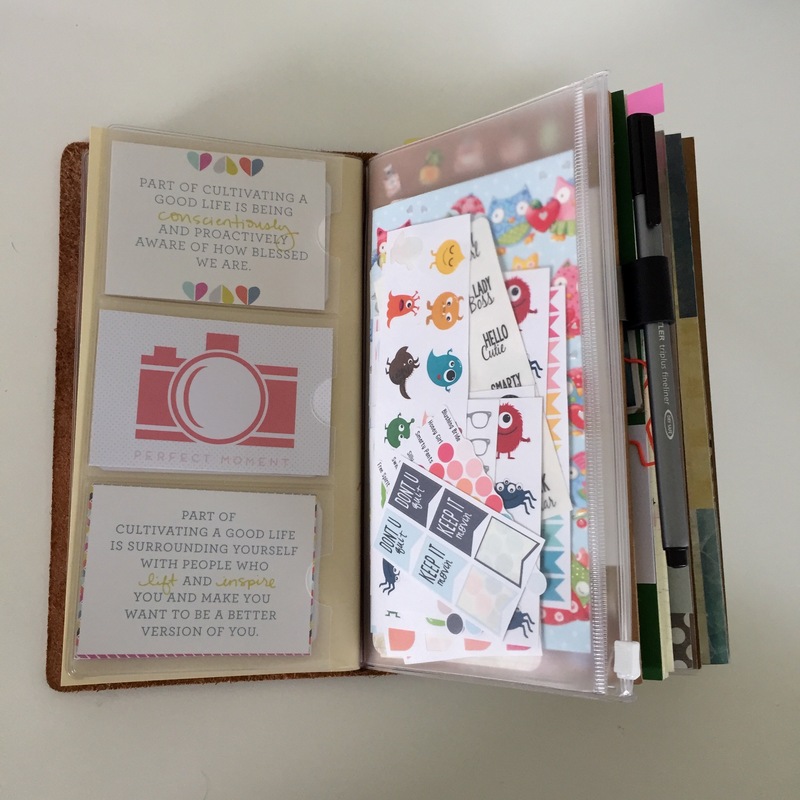 I also really wanted to reduce the number of planners I was using. Sure it was fun to collect them, but did I need them all? Would I miss them during the month of July? This was what I wanted to find out about myself. So I set up my Chic Sparrow Narrow Creme Brûlée with the following sections. The monthly was new for me, but so far it’s working well. I am just using it to have a glance at what we’ve got going on for the week and I just add my hubbys schedule in there too. Easy! The weekly- now this is where I was faced with a real challenge. I wanted to condense my home management binder, my weekly personal planner pages and my business to dos all on two pages a week! Crazy, no? But I did it- and so far it’s working a treat! 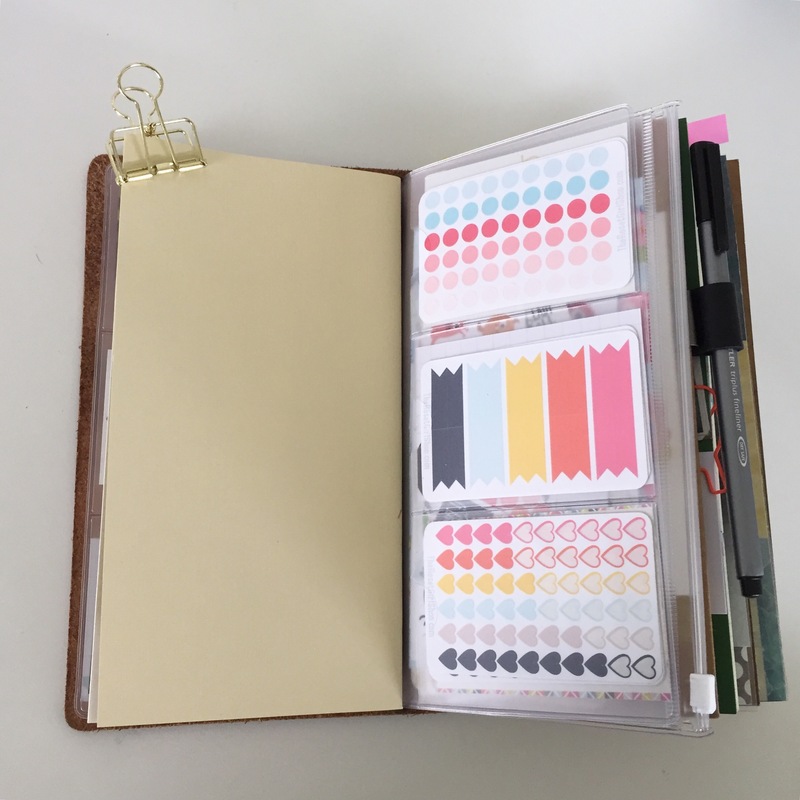 I am putting in daily tasks on the left side and on the right blank side, I split the page in half using slim washi, and then using planner stickers I dedicated mini list spaces! I have an area for my planner stuff, tv shows/movies I want to watch for the week, I write down my book of the week and then the second half is work/chores related. Chores are represented by the wee vacuum cleaner and I list mon-fri the areas of the house that need to be cleaned, washing machine sticker for laundry, trash sticker is self explanatory, and the mail stickers are for my little business. Next to it I jot down weekly tasks I need to do for my business. 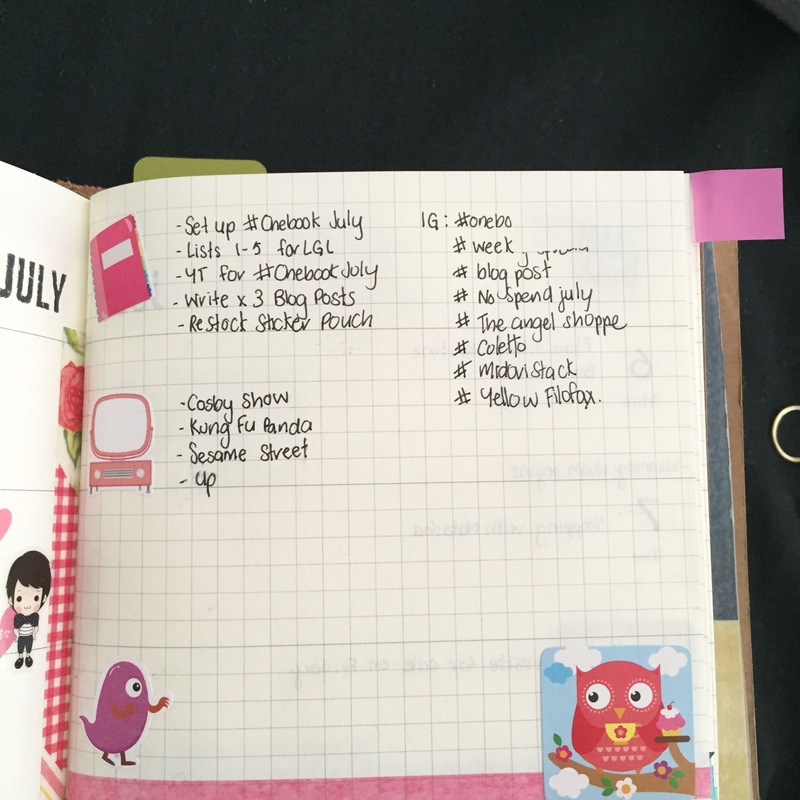 Lastly is the shopping trolley and I keep a wee running list there and then on Friday evening I’ll pop it on our magnetic list pad on the fridge! 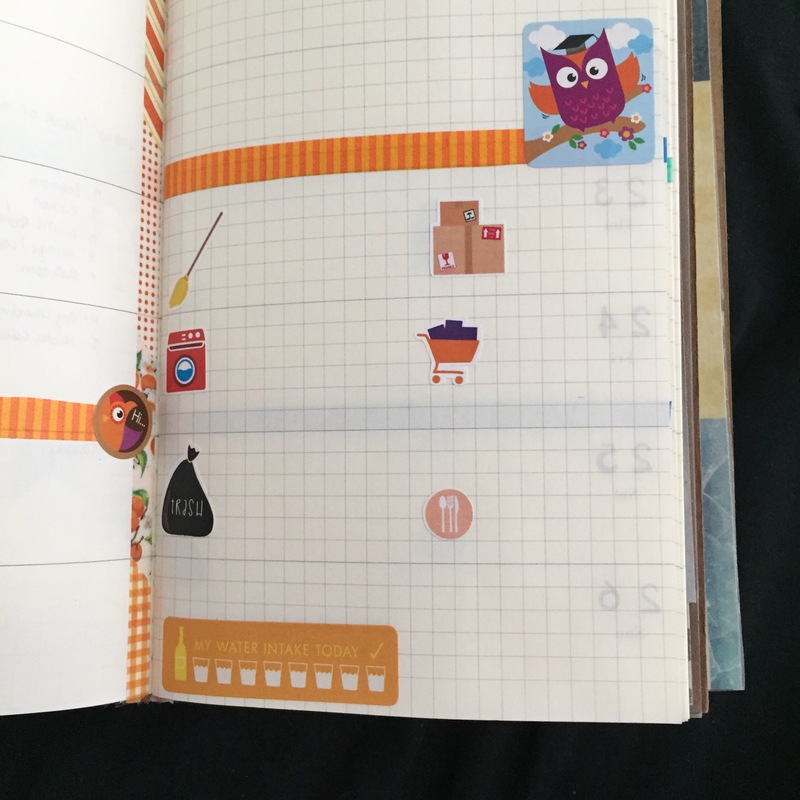 Now, usually on my daily inserts I was using I was able to track my water intake, but for this month I decided to use one daily sticker a week. One glass represents my 2L water jug. Once I finish that jug I fill in the water glass, and that’s my daily water intake sorted! I am using another grid insert as my commonplace/list book. One half of the book is for thoughts, notes, spiritual notes, quotes, and the other half is lists. It will last me through the month and then I can archive the insert. 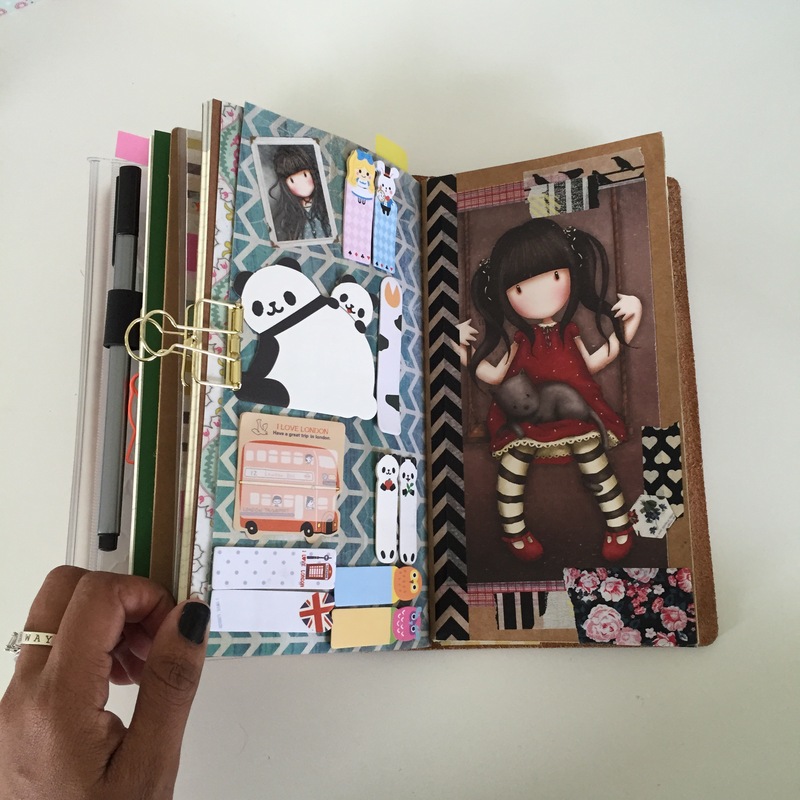 Lastly is my art journal insert and oh what fun I’m having with it! So far I haven’t been needing to use any other book and I am really enjoying the Travelers notebook versatility. There’s something very nostalgic and exciting about the aesthetics of it and how it’s moulding into a place I am loving to spend time! The challenge is going quite positively at the moment! Here’s a quick flip through of my Chic Sparrow Creme Brûlée that I am using for One Book July- there will be a Youtube Video going up soon that will explain in more detail of how I’m using it and where I purchased a lot of the items you see! 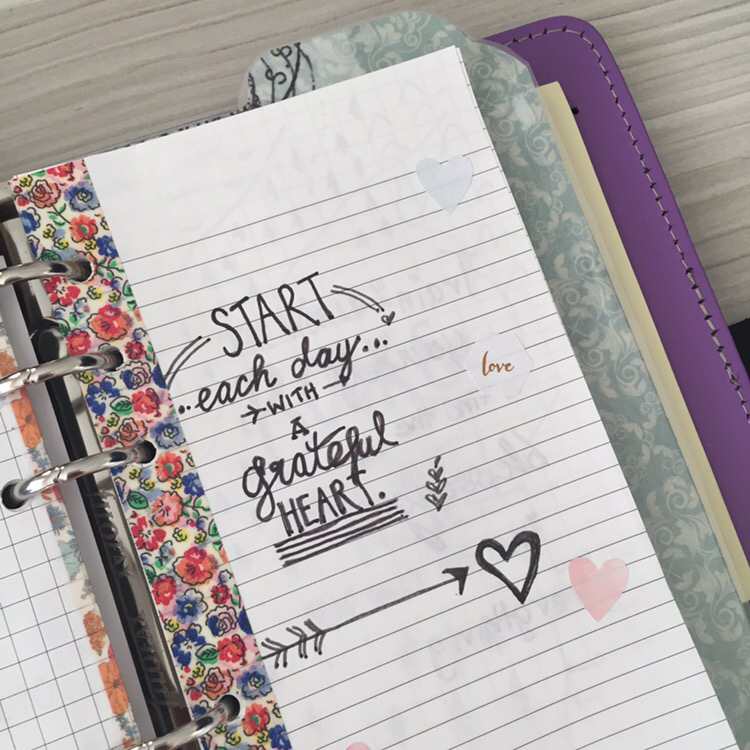 I thought what better way to start a new blog, with a new month and a new challenge! The One Book July challenge was thought up by @rhomany, and basically its “One book & One Pen for One Month.” I can hear some of you hyperventilating now- it’s okay.. I did the same. However, it actually sounds like an awesome challenge, and isn’t as restrictive as you think. You can learn more about it here. The reason I have decided to take on this challenge is because Rhomany referred to “Planner Peace” in her YouTube video. 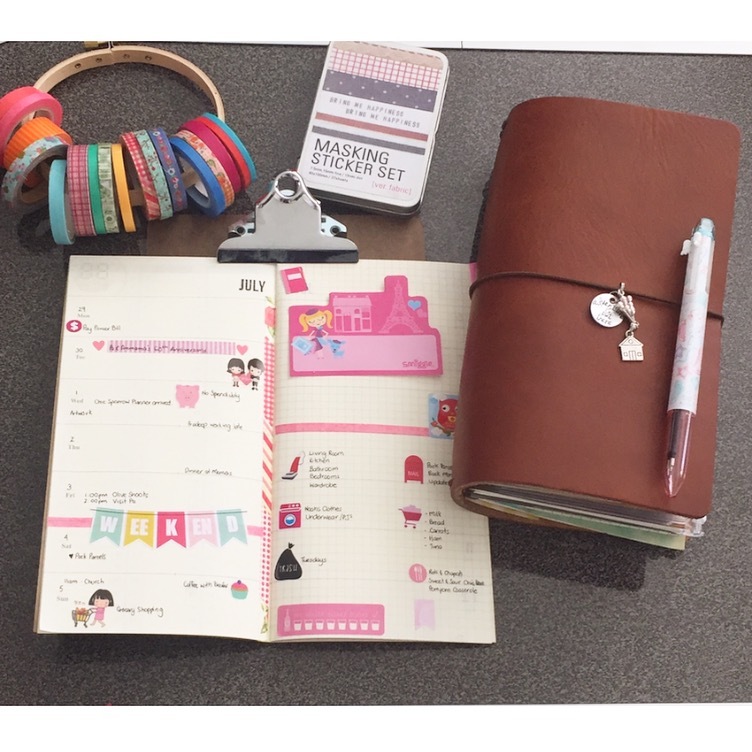 As Planner Girls, we speak about it in hushed reverent tones, we do anything we can to achieve it, even spend LOADS of money to attain some sort of planner Nirvana. But is it actually the PLANNER that houses our contents that gives us peace, or is it what’s inside? My hypothesis is that if the inside is meeting my needs, the outside may not have so much of a bearing. 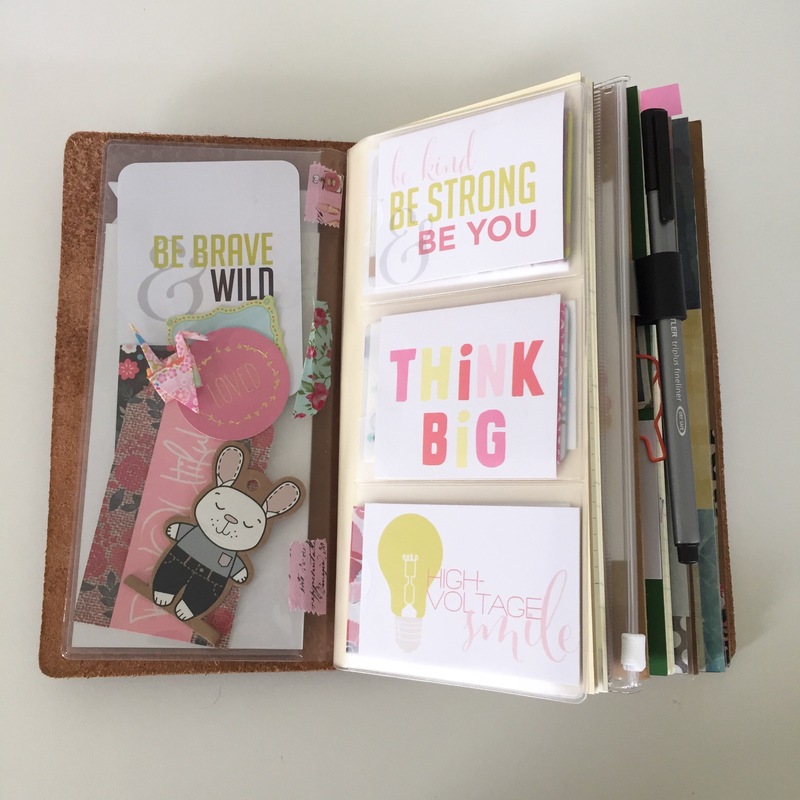 Now, if any of you follow me on Instagram or YouTube you will know that I am a die hard Filofax “The Originals” girl. I have 11 of them. I use 5 at any given time, and OH, how I love them! 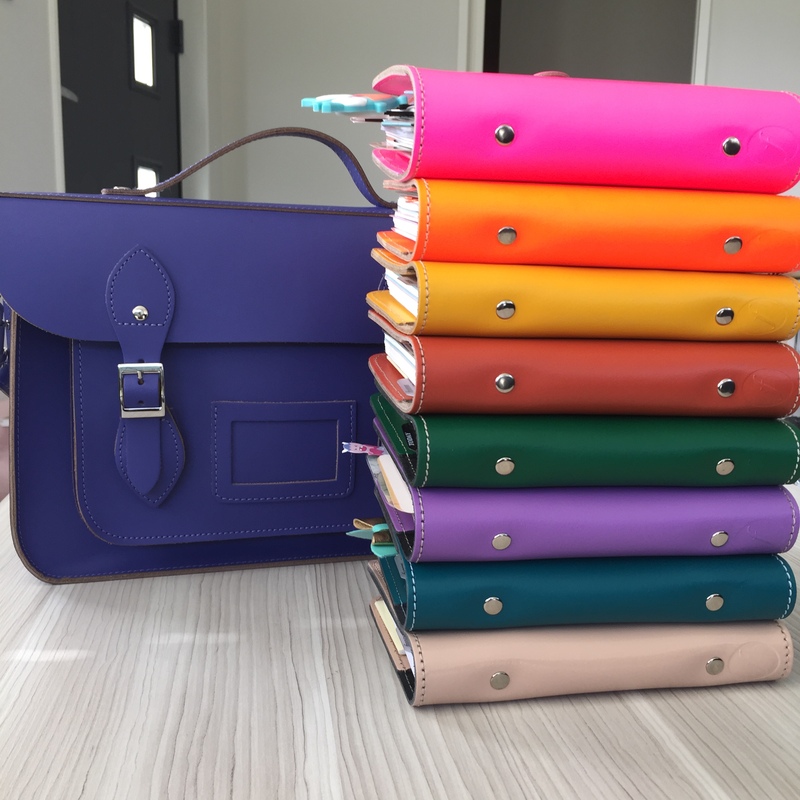 I had a quick fling with Kikki K’s, flirted with the Kate Spade Wellesley and EVEN (dare I say this) dumped a Louis Vuitton Agenda, returning each time with open arms to my Originals. There would never be such a love like this. 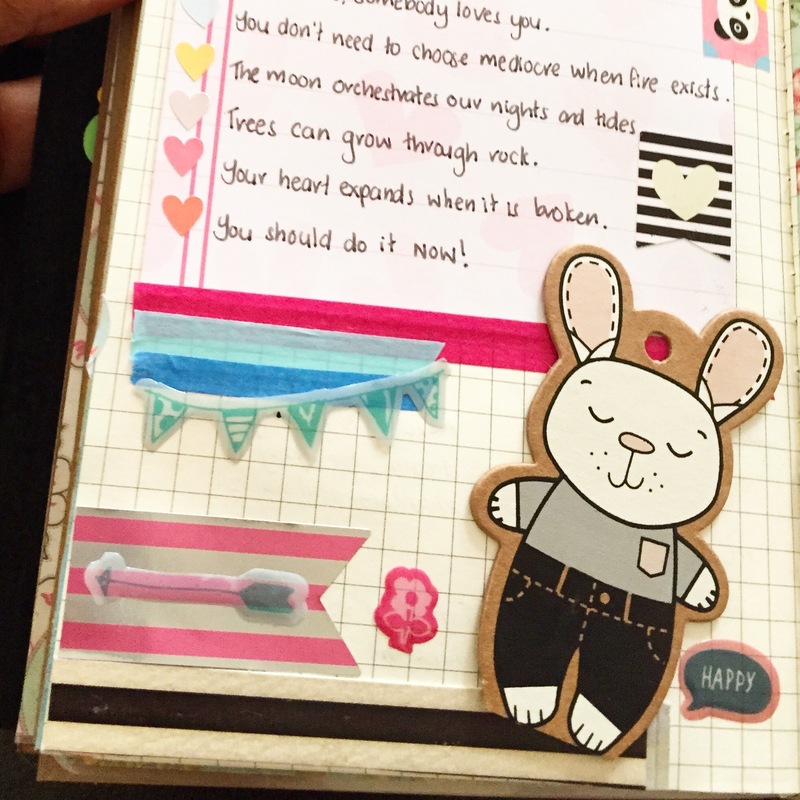 Until, The Midori Travelers Notebook. 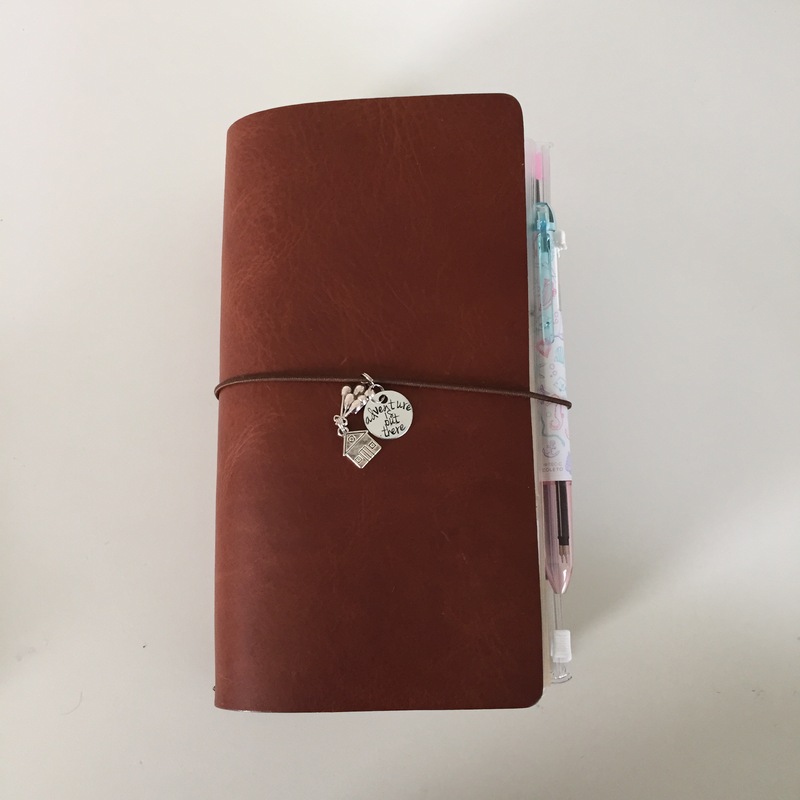 I bought this on a total whim after watching one of Erin Joy’s videos on her Midori and how she was using it as a planner. After all the money I had spent (please don’t tell my husband!) 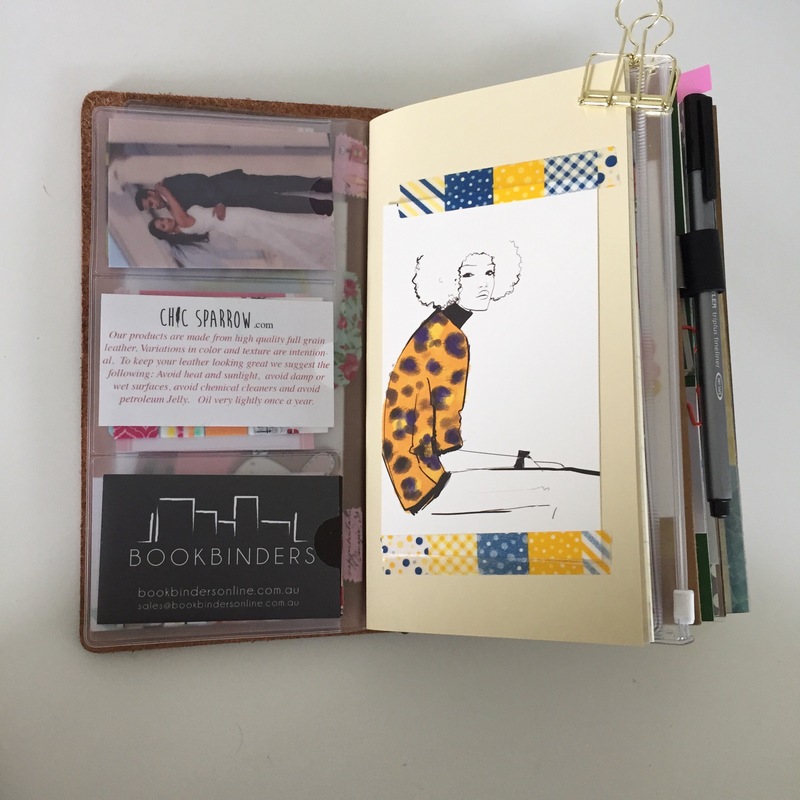 on Filofax Originals, the cost of a Midori seemed reasonable, so I purchased a regular sized black one from Bookbinders Online and waited for its arrival. This, I thought would be a perfect way to start the One Book July challenge. It’s not fancy so I won’t really care about the outside- I will just focus on the perfect set up, I told myself. When my parcel arrived, I wasn’t expecting much- its a rectangular piece of leather, that holds books with some elastic- how was this going to compare to the superior craftsmanship of The Originals?! I was impressed with the packaging, and the authentic feel of it all, and then- I pulled out the Midori. Oh. My. 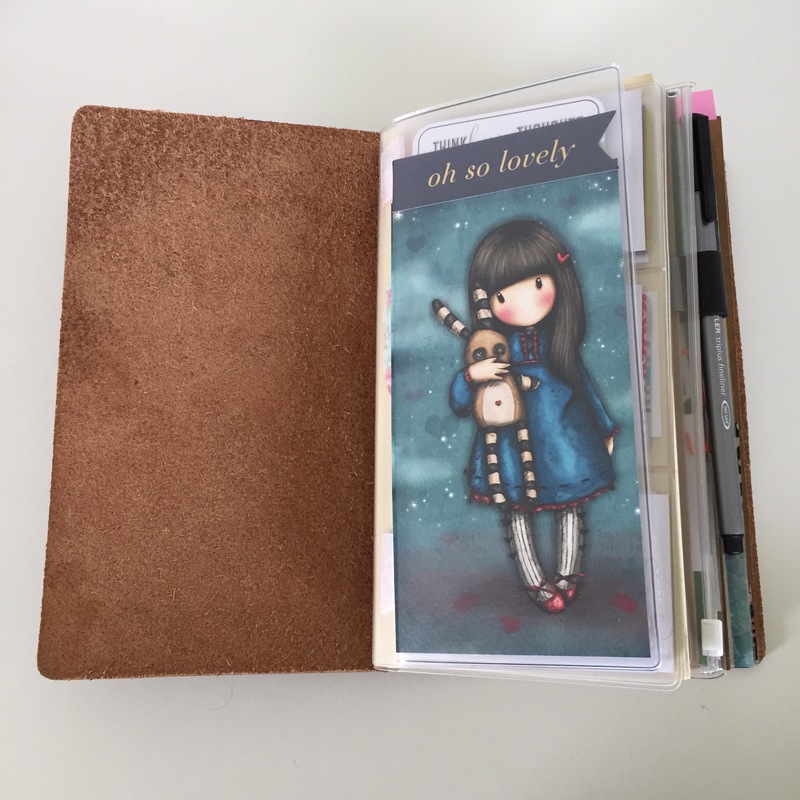 The smell of the leather, the FEEL of it and just the way it looked in my hands- I knew that my planner life would not be the same. With a eagerness that I cannot describe I began putting together my notebooks, just like I had seen in videos. But I needed more- MORE! That night.. 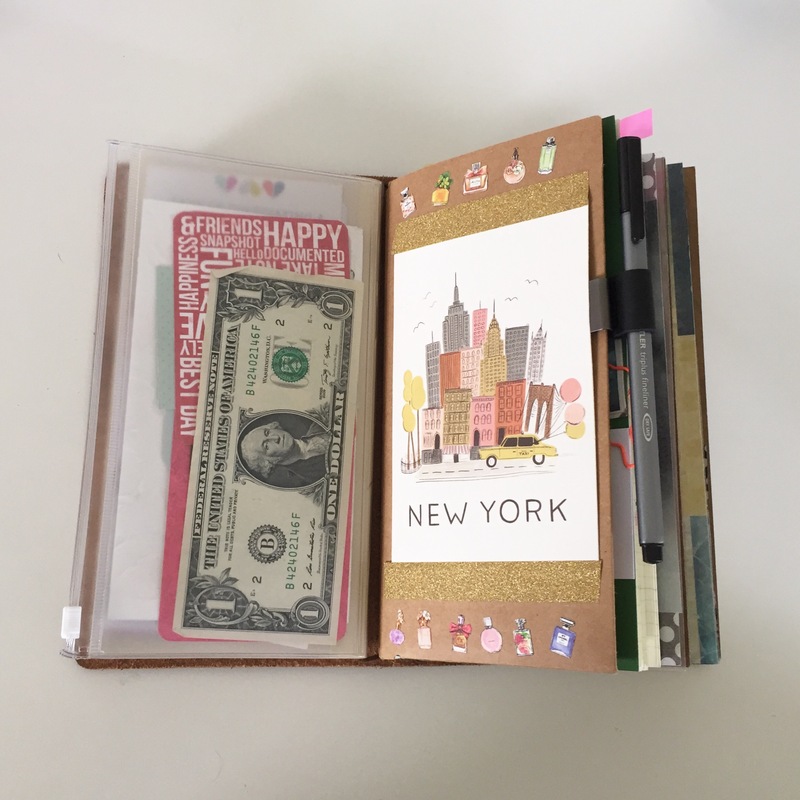 I ordered the Midori Pan Nam Blue Notebook and if I were to take seriously this #onebookjuly2015 challenge I would need a Traveler’s Notebook that meant business. 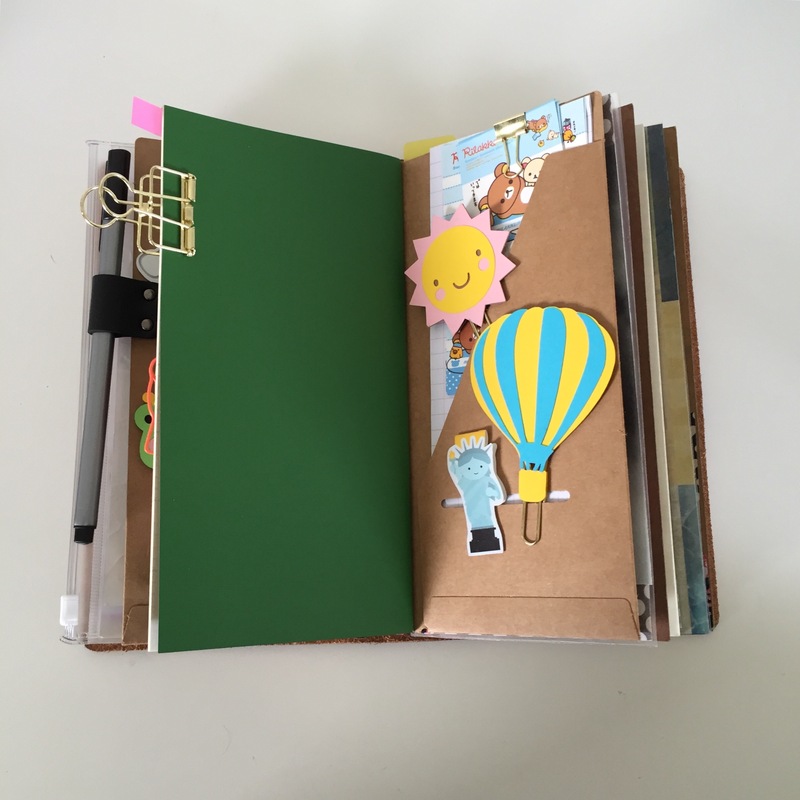 The Midori, from my short experimentation could only seem to hold 3 booklets, and a clear pocket insert comfortably. After that, it looked like hard work for the poor over stuffed notebook. While the rest of my household were frolicking in DreamLand, I watched many videos on Fauxdori’s and settled on the Chic Sparrow Narrow, in Creme Brulee. This would be my home for the Challenge I dared to undertake in July! Oh the wait for these items, it felt so long (I live in New Zealand), but in this time I got to really know this new love in my life and prepare for the Challenge. I set aside exactly what I was going to use in my MTN journey. 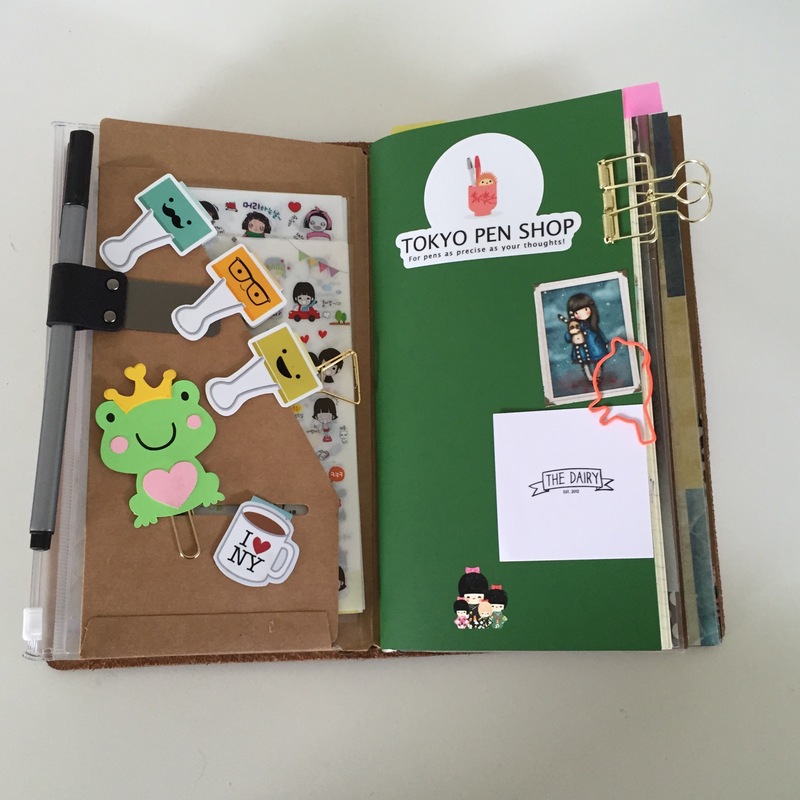 Washi Tape, Stickers, Stamps, & Masking Stickers and a carefully selected pen. 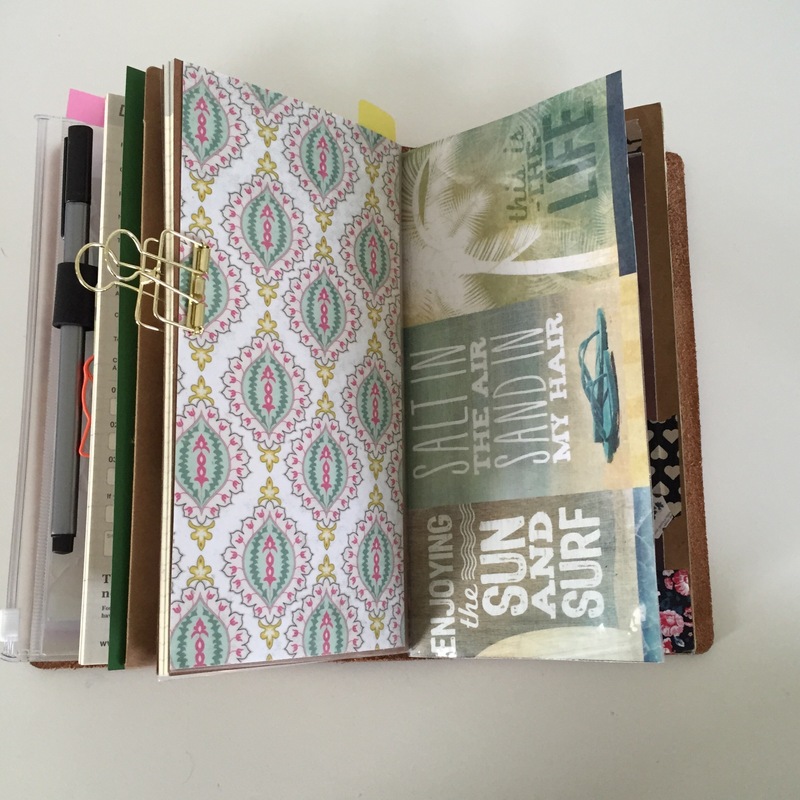 I decorated and prepared my inserts for One Book July- I was ready! My Chic Sparrow Creme Brulee arrived ON July 1st in the nick of time, and I set her up (Mabel, I call her) with everything I will need for the month. “It’s about as heavy as a brick” my Husband says to me, but he doesn’t understand. Mabel will house my life for 31 days, and we were going to be VERY good friends, I just knew it! 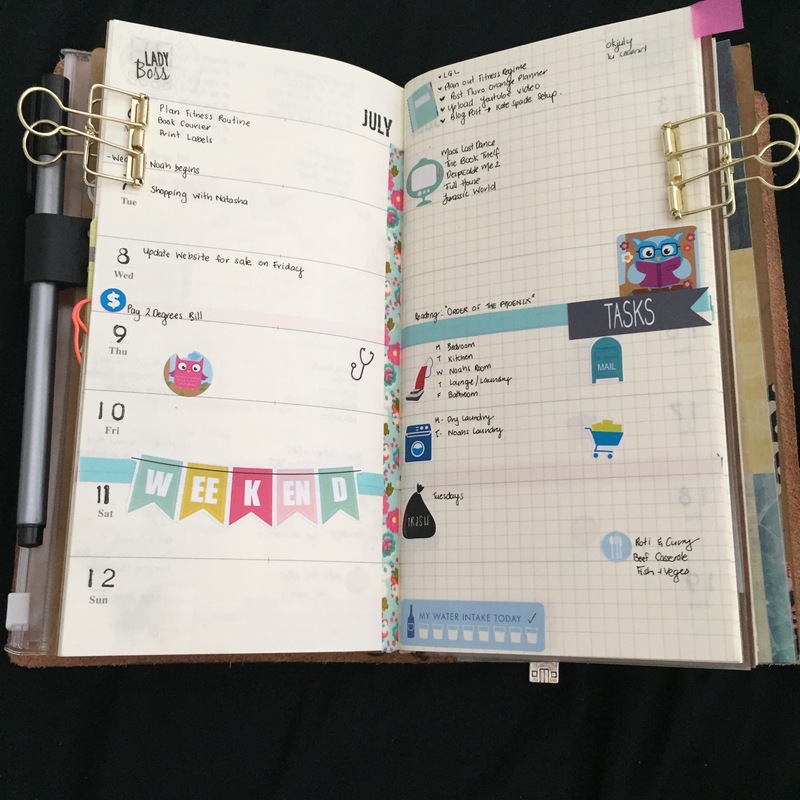 Could this be the END of the road between me and ringed planners? 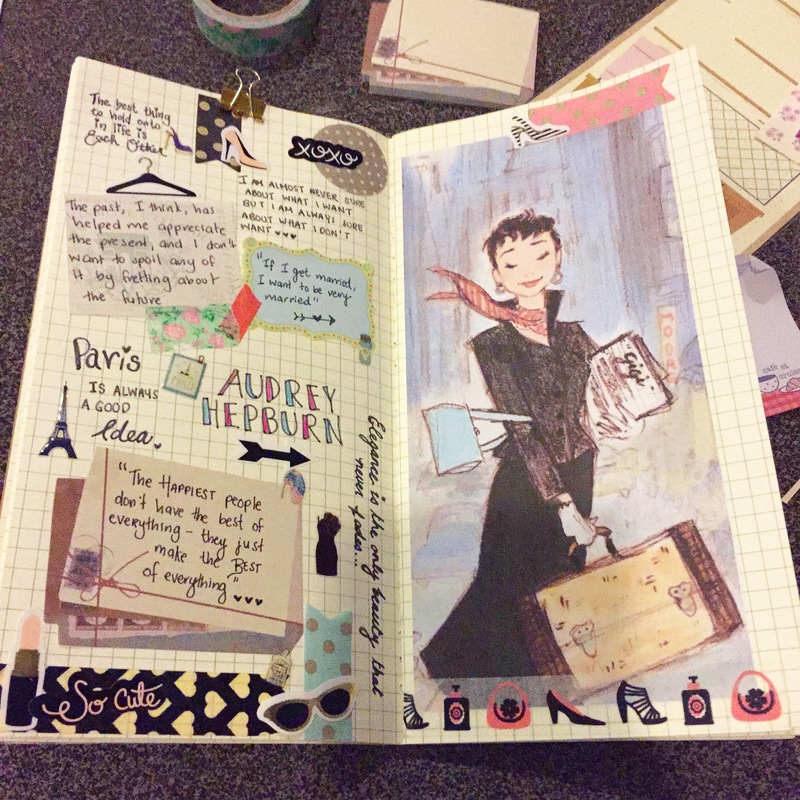 Will I also be a Travelers Notebook convert and find “Planner Peace” both with the inside and out of my July set up? I will be posting a video on my YouTube Channel of my set up and all the materials I will be using for the One Book July challenge this weekend, and there will also be a corresponding Blog Post. I will list where I got everything and post links as well! Mabel – Bring on July!